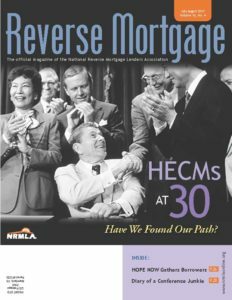 Featured: Thirty years have passed since Wisconsin Democratic Senator William Proxmire sponsored the Housing & Community Development Act of 1987, which led to the creation of the Home Equity Conversion Mortgage demonstration program. Significant anniversaries are always a time for reflection and so we thought the timing was appropriate to look at how we got to where we are and where we might go. Staff reporter Mark Olshaker interviewed a dozen industry leaders who either played a significant role in the history of the HECM program or are currently guiding the largest organizations.